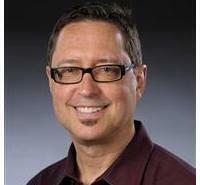 Board Certified Behavior Analyst (BCBA) David Pyles, Ph.D., joined The Chicago School faculty in 2004. His areas of interest include chronic mental illness, decision making, staff training and management, and performance management. Pyles, D. A. M., Muniz, K., Cade, A., & Silva, R. (1997). A behavioral diagnostic paradigm for integrating behavior analytic and psychopharmacological interventions for severe behavior disorders of people with dual diagnosis. Research in Developmental Disabilities, 18, 185-214. Bailey, J. S., & Pyles, D. A. M. (1989). Behavioral diagnostics. Monographs of the American Association on Mental Retardation, 12, 401-409. Pyles, D. A. M., Riordan, M. M., & Bailey, J. S. (1997).The Stereotypy Analysis: An instrument for examining environmental variables associated with differential rates of stereotypic behavior. Research in Developmental Disabilities, 18, 11-38. Richman, G. S., Riordan, M. R., Reiss, M. L., Pyles, D. A. M., & Bailey, J. S. (1988). The effects of self-monitoring and supervisor feedback on staff performance in a residential setting. Journal of Applied Behavior Analysis, 21, 401-409. Pyles, D. A. M., Thomas, D. R., & Miller, M. L. (1998). Illinois Department of Human Services, Division of Behavioral Health and Disabilities, Office of Developmental Disabilities Functional Assessment Protocol. Springfield, IL: Dept. of Human Services. Set clear objectives, direct all teaching efforts toward achievement of those objectives, do frequent measurement, provide frequent, clear, and behavior-specific feedback. Use scientific method to guide practice: Determine the issue and outcome desired, select 'pinpoints' toward that outcome, develop a measurement system, implement an intervention, measure effects and modify interventions as needed. Be prepared to work hard. Make sure you can write well. Consider your education as an investment and learn everything you can about your subject matter.